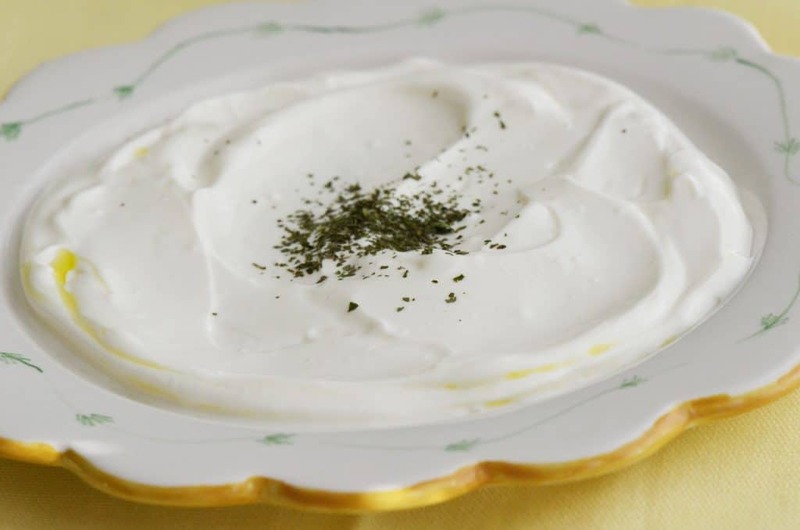 In Lebanese cuisine, labne is a thick yogurt spread served drizzled with olive oil as part of maza (many small plates) and used as a condiment with savory dishes. My Sitto ate her own labne every single morning, spread with the back of her spoon on two slices of buttered toast. She wasn’t so concerned about fat calories. To her this was breakfast. She looked forward to it, and she enjoyed every bite. You may be thinking that you can just buy one of the popular thick Greek yogurts that dominate the dairy section of the grocery store. Those aren’t bad, and it’s good to see this essential component to Middle Eastern eating become so broadly loved. But the depth of flavor and silkiness (not to mention cost-effectiveness) of homemade labne reigns supreme. For me, labne is a trusted friend, there for me as the final touch when I’ve gone all out for a plate of coosa, or when I am just looking for something soothing and fast to eat in the evening. Labne, kalamata olives, and some thin pita bread were my go-to dinner after days in cooking school taste-testing 15 sugary meringue cakes or the same number of organ-meat dishes, or sawing the leg off of a 250 lb. (slaughtered) pig. The recipe to make your own yogurt, or laban, is here, published recently when we made it into laban khiyar, a cucumber and mint salad. Place a colander in the sink and lay a clean, thin bread towel or a few layers of cheesecloth in it. The cloth must be large enough to tie the ends together over the yogurt. Spoon chilled yogurt into the towel. Use gravity to drain the liquid out of the laban; tie two opposite corners of the towel over the yogurt, then tie the other two corners over that. Hang this over your kitchen sink faucet, with the strainer underneath to catch the package if it falls. 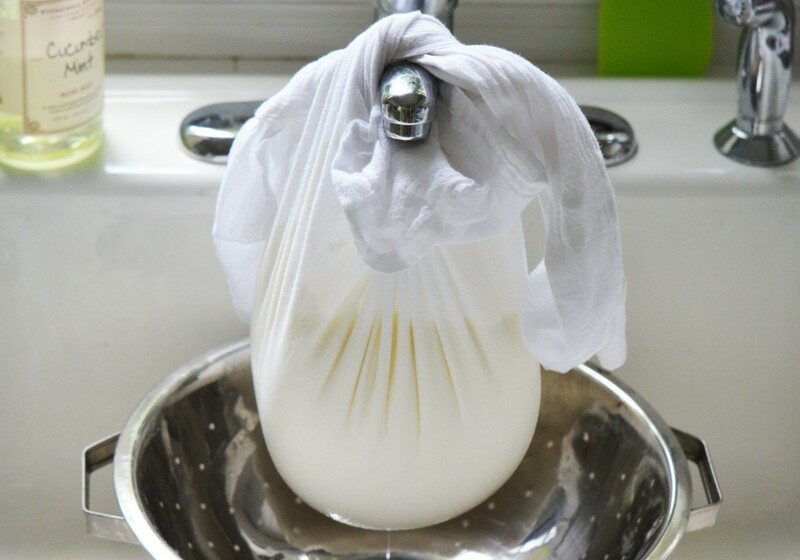 Alternatively, to keep your sink free, hang this hobo sack of laban from a wooden spoon suspended over a bowl. The liquid that drains off is whey, which can be used in other dishes but I just discard mine. Drain your labne for a good eight hours. 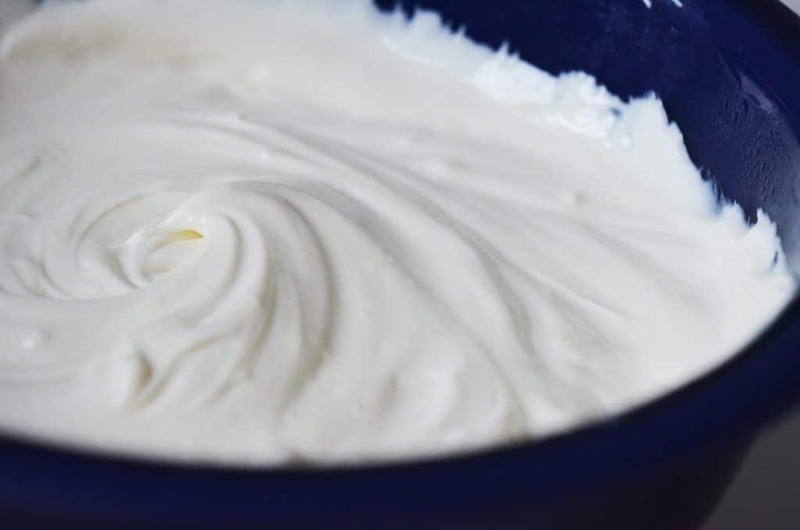 Once or twice, place the sack in the colander in the sink, untie it, and whisk the yogurt until smooth to incorporate the thickened edges with the thinner yogurt. Tie it and hang it back to drain. When the labne is thickened, scrape it from the towel into a bowl and whisk it well until smooth. Cover and chill, ideally over night. When ready to serve, spread the labne on a plate and drizzle with olive oil. Crushed dried mint is also a nice garnish. 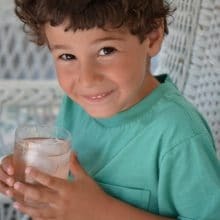 11 Responses to "Technique: How to thicken yogurt for Labne"
Hi! I can’t wait to make my own yogurt! How long can it keep in the refrigerator? Hi! 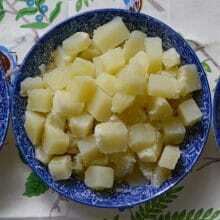 Laban or labne will keep for many weeks, 3 or longer, refrigerated in an airtight container. Let me know how it comes out! I’m enjoying going through your website. I make labne fairly often. I use 2% milk and it works out fine. I place a towel in a colander, put the colander over a large pot or bowl, dump the fresh lubne into the colander and let it drain in the refrigerator. This way the lubne is chilled and ready to eat when it’s done draining. Thanks so much Larry! And thanks too for your thoughts on oils. I also like grapeseed oi. I think the Jury came back into the courtroom and delivered a clear verdict some time ago on Canola. It does no harm. The email quoted in the Snopes article is a classic example of the kind of pseudo science and anecdote masquerading as argument that makes it essential to be very cautious about the internet as a source of dietary (or any other) information. Thanks for a wonderful site, Maureen. We are lucky enough to have lots of great lebanese restaurants in Australia and some good commercial suppliers of both laban and labneh, but you have persuaded me to have a go at making my own. Thank you very much for this comment about canola, Ken, and for your kind words. 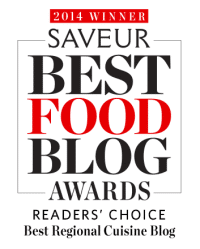 Good for you for diving into the labneh-making! I hope you enjoy it as much as I do! Hi Ron–you know, I salt after the labne is made, and that is how I always see it done too. I will try it salting first to see how it comes out! I live in Western China and cannot buy yogurt without sugar. I love Lebanese and Greek style yogurt and since I can’t buy it, I decided to make it. 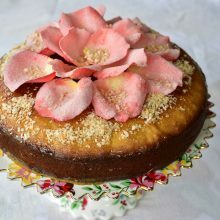 I found your recipe and easy to follow technique. And it turned out great!